Let me begin by stating that I am NOT a professional photographer. These images have not been altered other than straightening (frankly, because I do not know how)! 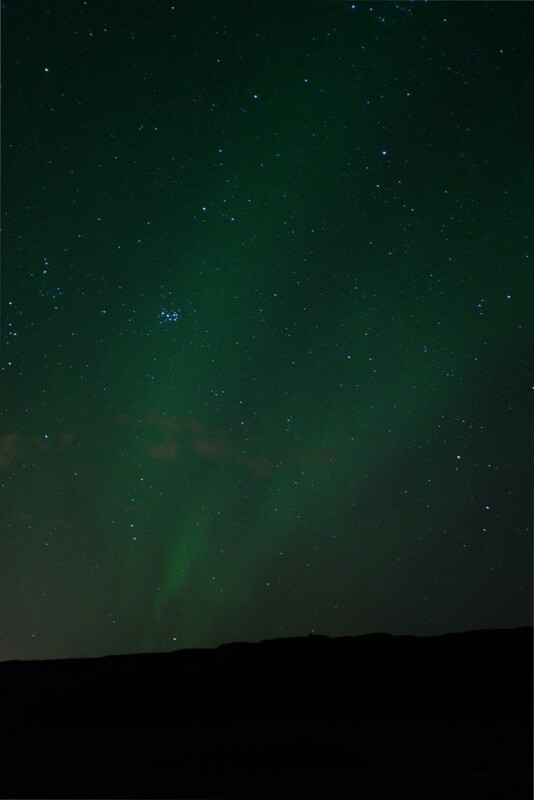 I’m just a girl with a passion for photography, I love admiring the night sky, and I just happened to get lucky enough to see the northern lights on a recent trip to Iceland. I want to share my tips with you, so that if you are lucky enough to experience this natural phenomenon, you are ready to capture these beautiful memories. 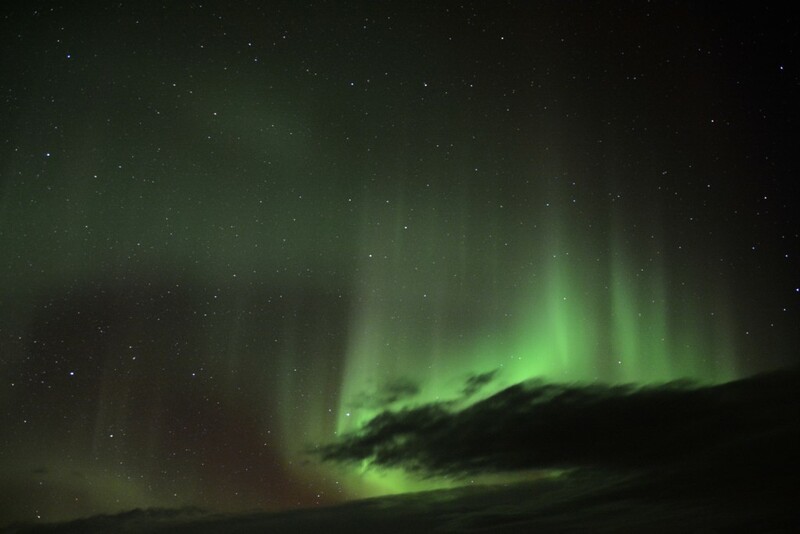 A clear sky is essential for viewing the northern lights, so weather must be on your side! 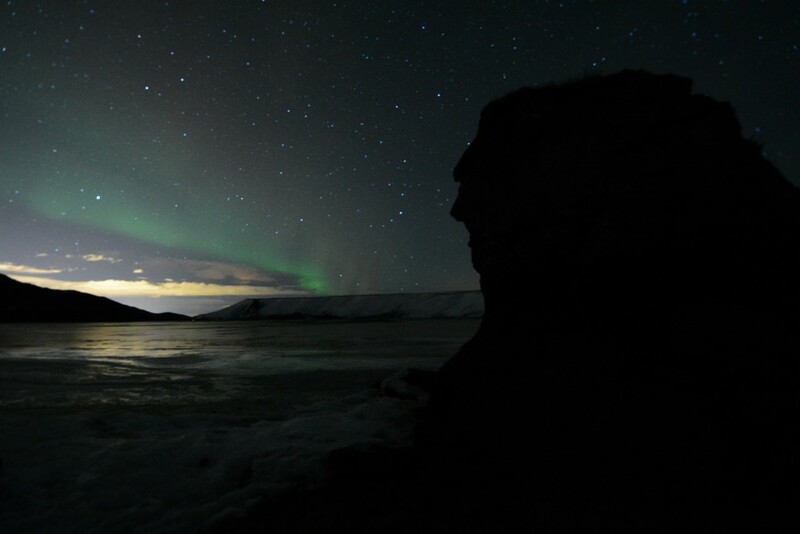 I specifically planned our trip to Iceland around the lunar calendar, as to ensure that we would be visiting during a week with a new moon, so the moonlight would not be a disturbance in our pictures. 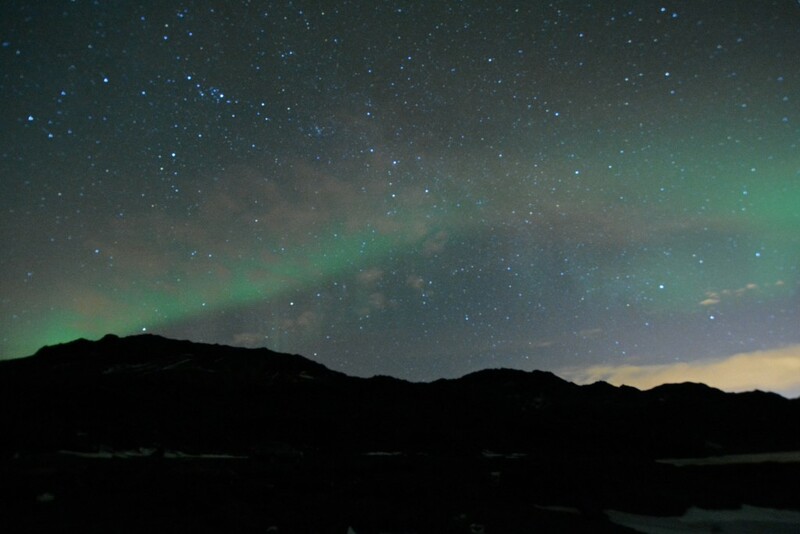 Besides your camera (w/ manual focus capability), a tripod is the second single most important piece of equipment you will need to capture the aurora borealis. Even then, some of my first images came out blurry, until I got a handle on what to do differently. Consider using a cable release or self-timer (like I later discovered) to take shots without shaking the camera. You also need to be in the right place at the right time. 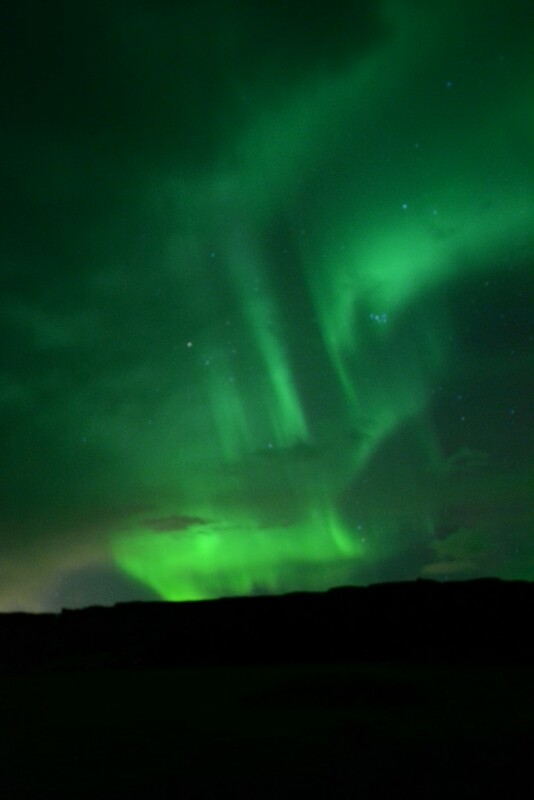 September-March is prime time for the northern lights and you will need to be located close to the arctic circle in the northern hemisphere. Alaska, Canada, Iceland, Greenland, Norway, Finland, and Sweden are great places to start your aurora hunt in the winter months! 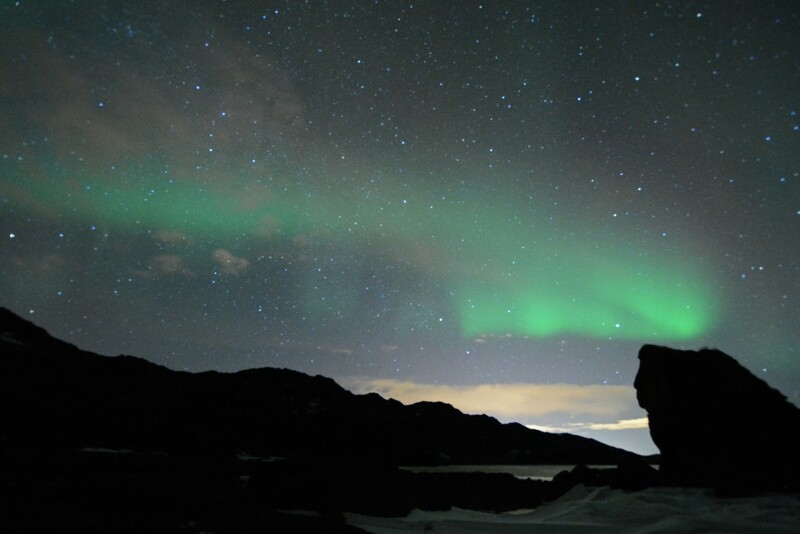 That being said, be prepared to dress in warm layers when you’re out hunting for the northern lights! 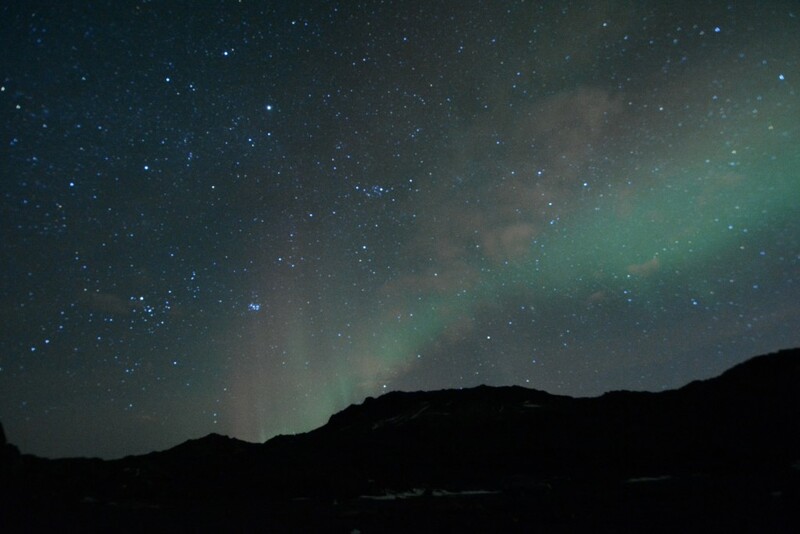 It’s best to get as far away from city lights as possible to avoid light pollution which can distract from the beautiful glow of the aurora. 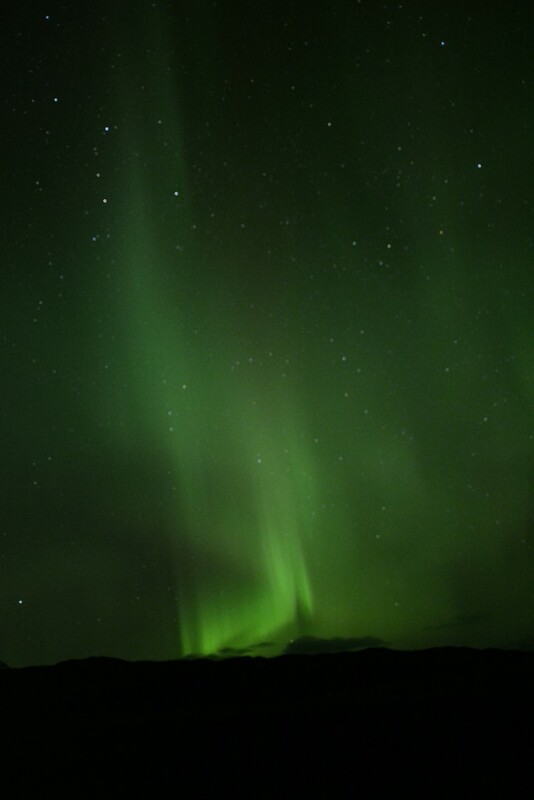 The following night (March 1, 2014), we figured we’d try a different location and drove about 45 minutes outside the capital city of Reykjavik to Þingvellir National Park. 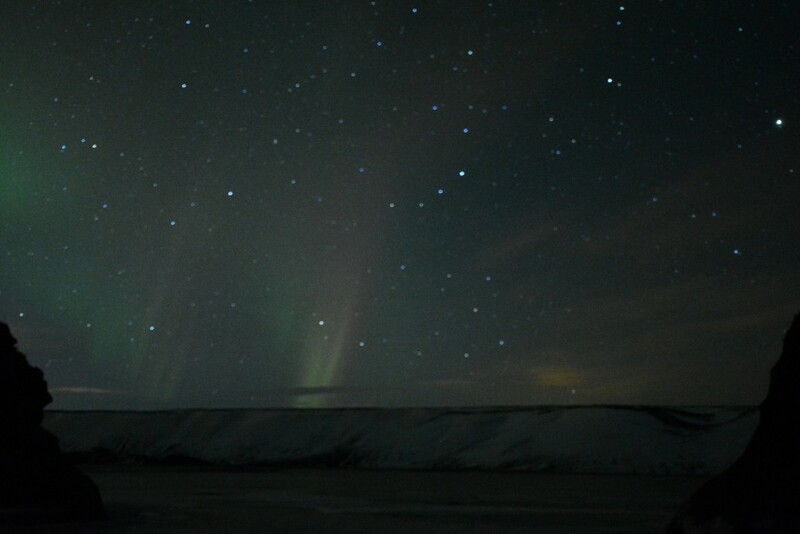 Before heading out each night, we would check the Aurora Forecast. 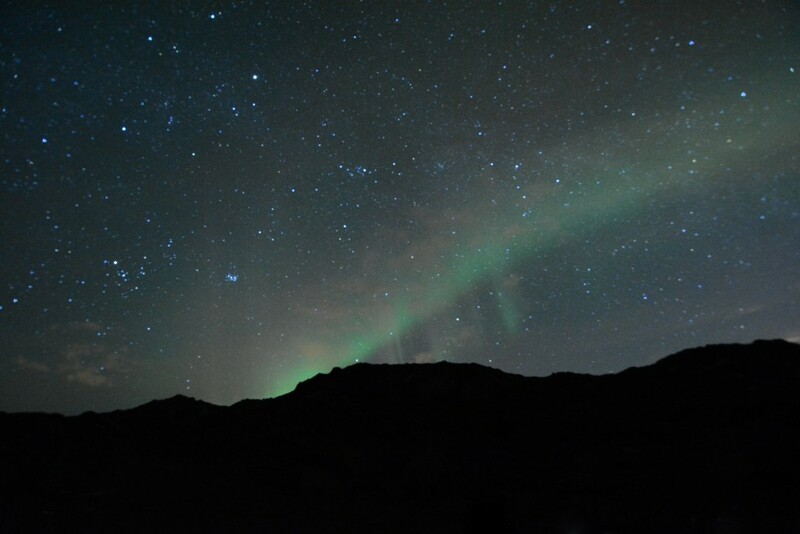 This website provided information regarding the probability of the aurora making an appearance. Both this night and the previous night were rated 2 out of 10 on the probability scale and we certainly weren’t disappointed! I can’t imagine what a 4, 6 or even 10 looks like! 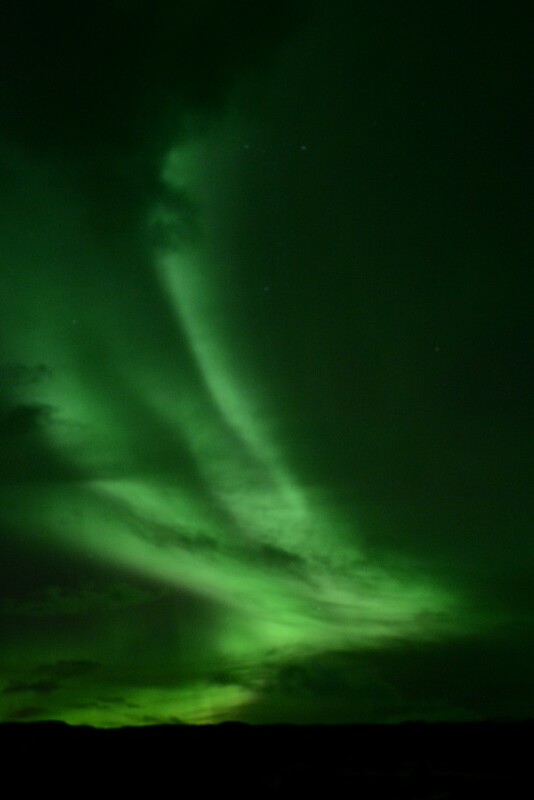 Supposedly the night before we arrived in Iceland was a 10 on the forecast scale! Oh well… I was thrilled with what we saw and wouldn’t trade the experience for anything! 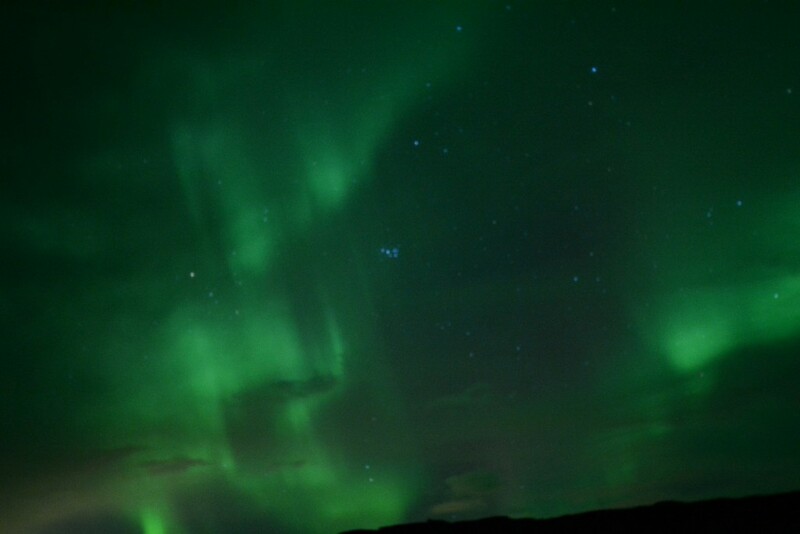 Some travel to places like Iceland with the hopes of seeing the northern lights and never see so much as a glimpse. We saw the lights on 3 different nights! 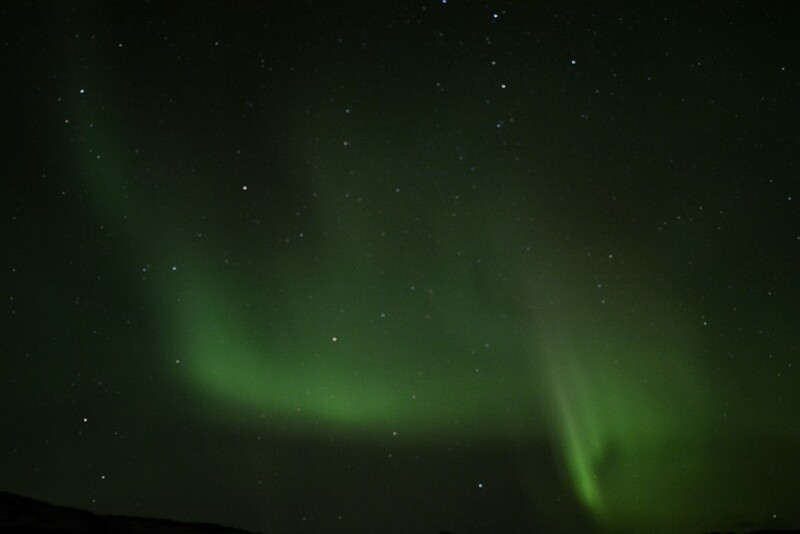 The remaining images were taken in a remote part of southeast Iceland in a little village called Hornafjörður during our stay at Guesthouse Skalafell on March 4, 2014. 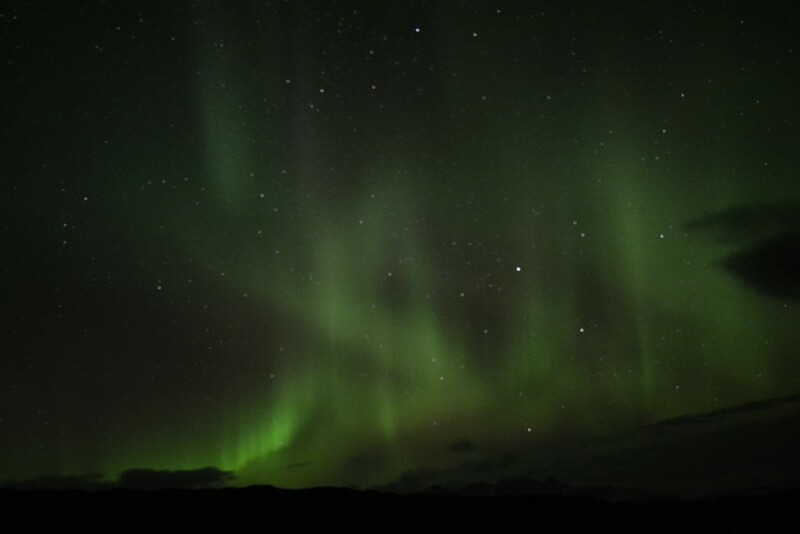 In order to capture the northern lights, you will need a camera with manual focus capabilities. Set the camera to manual focus and set the focal length at infinity. It’s best to have a wide angle lens, so you can capture a large portion of the sky. Having a fast lens (f/2.8 or better) helps as well. The faster the lens, the shorter exposure time needed. I usually kept my shutter open for around 20 seconds; sometimes less. 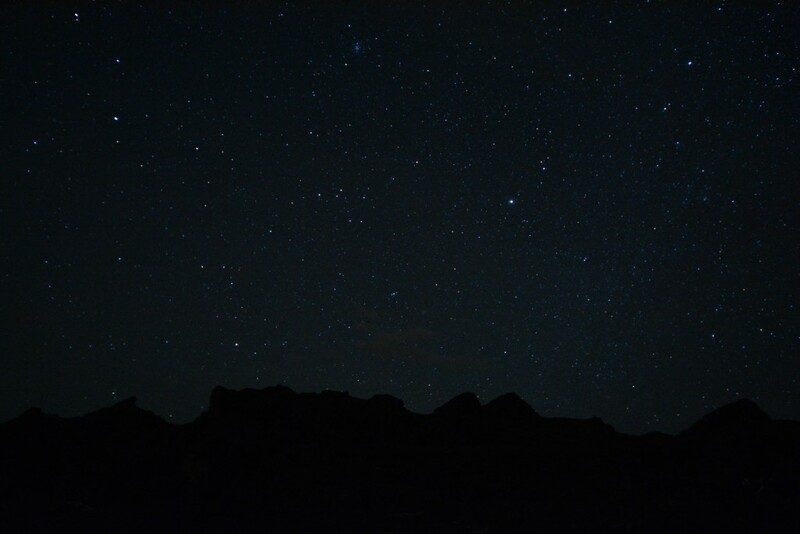 Any longer than that and the stars would start to blur from movement. Keep the ISO as low as possible to avoid ‘noise’ in your photographs. Start low and bump it up, as needed, if your image appears too dark. The great part about long exposure and image processing times was that I simply had to click the shutter then look up and enjoy the show!! Of course, we had to have a little fun with the longer exposure times and do a little bit of light writing with a flashlight! 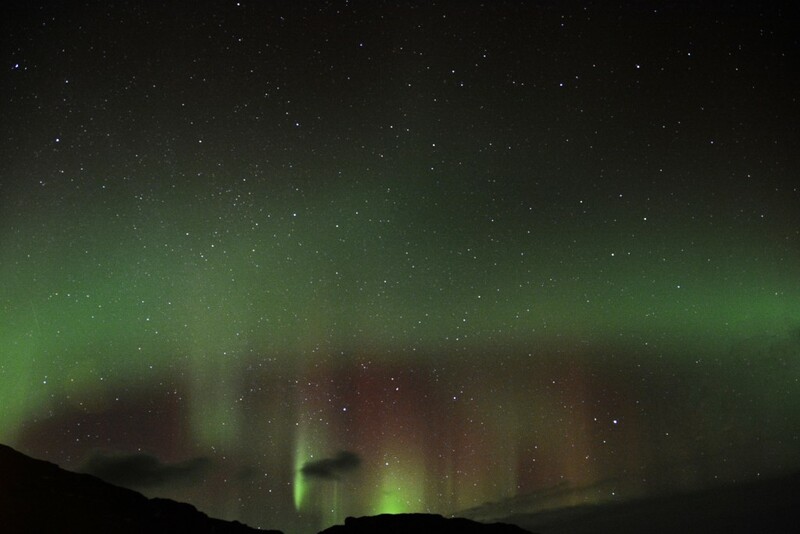 Best of luck with your hunt to see the captivating northern nights! Be patient. The lights don’t always appear when you want them to. Sometimes the show will last a few minutes; other nights it will go on for hours! 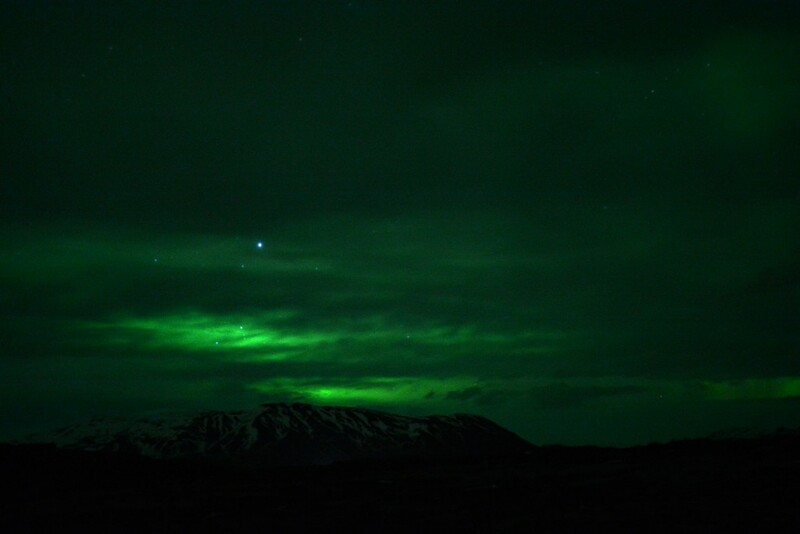 Each night we saw the lights (Iceland, March 2014), it was in the 10 pm-12 am time frame. 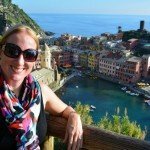 Great tips and photos! 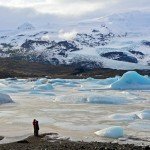 Could have used this info on my recent trip to Iceland! 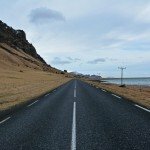 Seems like everyone is going to Iceland these days! And why not?! It’s gorgeous! 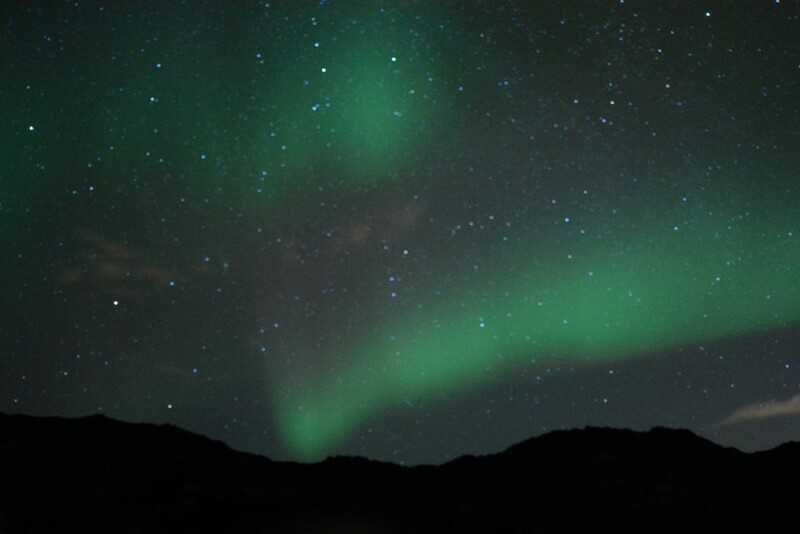 I hope you got to experience the northern lights on your recent trip, because it certainly was one of the most incredible things I have ever seen!! A lot of these photos look moved or out of focus. I think you are maybe focusing past infinity. Yea… there are quite a few out of focus. Like I disclosed in the title and at the beginning of the post, I’m an amateur, not a professional. It was difficult to see what was actually coming out (and in focus) in the images when we were out and about. It was my first time photographing such an image. Nighttime photography is tricky as it is and I definitely need more practice. I will certainly do more research before my next venture into the cold night and I’d love more formal training in the way of photography tours! In this setting… what would you recommend? Always looking to enhance my photography! Well the obvious choice, considering we are talking about Iceland, would be to learn as much as you can from Iurie Belegurschi. He is one of my favourite landscape photographers and offers photo tours around that part of the world. The cheaper option would be to learn by watching a few youtube videos but the most important thing to do is to practice, practice and more practice. Then once you’ve got it all figured out you can start to teach others. Thanks! We will be spending a year abroad in the near future where my main focus will be improving my photography skills by practice! I have a good handle on most aspects of photography, but night photography (and especially that of moving auroras) is a little more advanced for me. Thanks for your feedback and support! Excellent piece of advice. 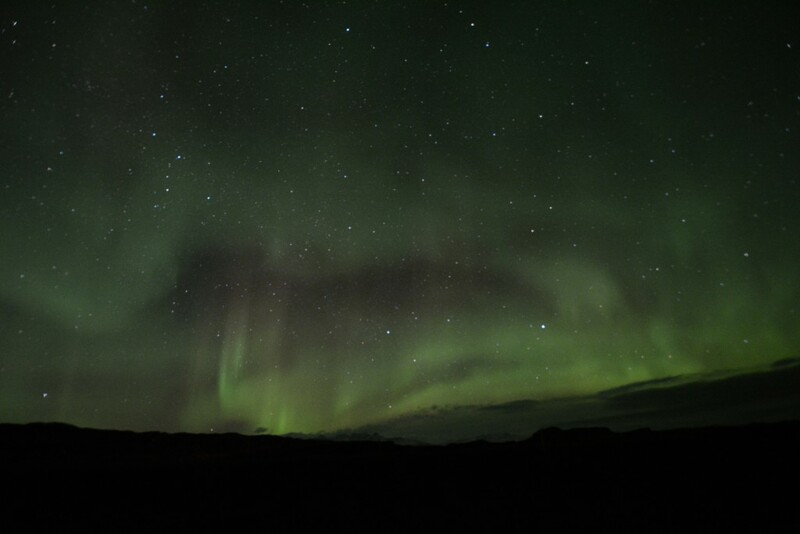 I was in Iceland earlier this year (January) and spent a lot of time travelling to different places for a few hours before we finally found a place where we could see Aurora. #Rightplacerighttime is indeed the most important thing ever ! 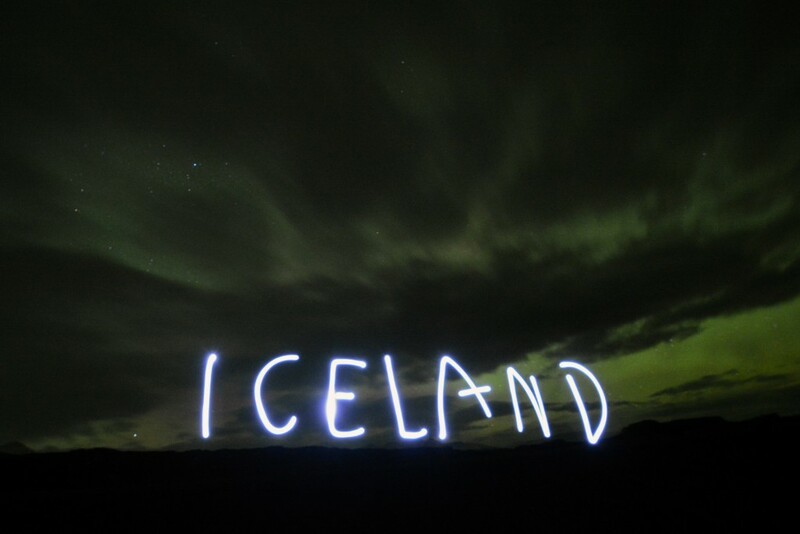 Exactly… so many people think that if they go to Iceland at the right time of year, that they are guaranteed to see the Northern lights, but there are so many other factors to be considered! Weather, location, and solar activity. During our (most recent) last winter visit, we barely saw them on our very last night.